If someone were to ask me, which was my favorite frosting in the WORLD...I would hands down, choose a non dairy whipped cream frosting! It's light, airy, and not too sweet! But the problem with that is, if you plan on doing more detailed work, you would need a good buttercream frosting to hold it's shape better. American buttercream is waaaay too sweet for my own taste, but this Italian meringue buttercream recipe is AMAZING! Not too sweet but silky and smooth, and also pipes really well! 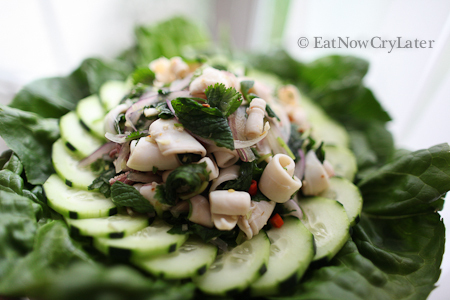 I hope you guys enjoy this recipe because it's definitely a favorite of mine! 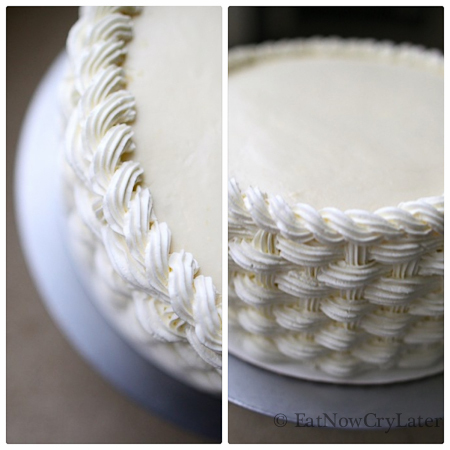 If any of you are interested in the basket weave cake design that I used in the photos above, please look up my "how to make a basket weave cake" blog post! I used this Italian meringue buttercream recipe, to pipe out the design on the cake! Make the sugar syrup by boiling your water with your sugar until it reaches 245. I use a small pot and set it over medium heat. Don't forget to place your candy thermometer in there. As it cooks, begin making your meringue. Beat your egg whites in a stand mixer on HIGH until soft peaks form. Sprinkle in 1/4 cup of sugar. Continue to beat until medium to stiff peaks. Turn off mixer if your sugar syrup is not ready yet. With your mixer on HIGH, slowly pour in your hot sugar syrup in a steady stream. Continue to beat for 10-12 minutes, or until your mixing bowl is cool to the touch. Add in 2 sticks of butter first(a Tablespoon at a time) and then add in 1 teaspoon of lemon juice extract powder. Add in the rest of your butter and beat until fluffy. Add in 1 tsp of vanilla extract(optional). I decided to do a fun tutorial to celebrate Easter. 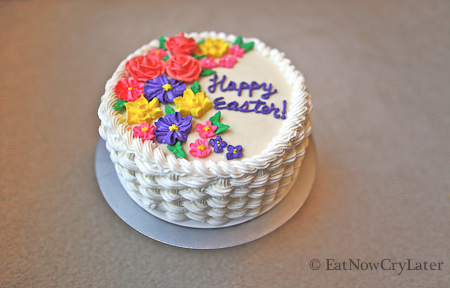 Wouldn't you love to receive this pretty cake on Easter...or even just because?? I WOULD!! It's very difficult for me to try to explain in words, how to do the design...but I've attached a video below on how to achieve the look! Thanks for stopping by!! To make roses, you need the rose template, tip #12 and #104 by Wilton. Also a piping bag filled with stiff royal icing fitted with a coupler and ring. To make daffodils, you need the daffodil template, tip #3 and #104 by Wilton, and some cornstarch. Also piping bag filled with medium consistency royal icing or buttercream, fitted with coupler and ring. To make violets you need the violet template with tip #59. May use buttercream or royal icing. If I use buttercream, I pipe directly onto the cake. If you use royal icing, you may wait for it to harden, and then place the flower on the cake. Use yellow frosting or royal icing and with tip #1, add two center dots. To make apple blossoms you need the apple blossom template with tip #101. May use buttercream or royal icing. Use tip #1 with yellow frosting to pipe center dot. To make primroses you need the primrose template and tip #104. Use buttercream or royal icing. Use tip #3 or tip #14 in yellow frosting, to pipe the center dot or star. To make leaves use green frosting of your choice, using tip #352. You only need to use the parchment squares on the flower nail if you plan on doing your flowers ahead of time and need time for them to set. Place finished flowers on a baking tray to harden and then place them on the cake when ready to assemble. In the video below, I actually piped most of the flowers directly onto the cake and used the templates only as a demonstration. I did, however, used royal icing to pipe the roses and daffodils, waited for them to dry, and then placed them on the cake.